Colleen O’Neill is the first elected female Sheriff in the history of New York State. Sheriff O’Neill’s law enforcement career began with the New York State Police in 1984, one of only ten women in her State Police Academy class. She worked road patrol in Middletown before transferring back home to Jefferson County. Ten years later she was assigned to the State Police Training Academy in Albany. In 1996, she was promoted to Sergeant and assigned to the elite Governor’s detail. She then returned to the Academy and later worked as a Sergeant in Saratoga County before again going home to Jefferson County, assigned to the Bureau of Criminal Investigation. 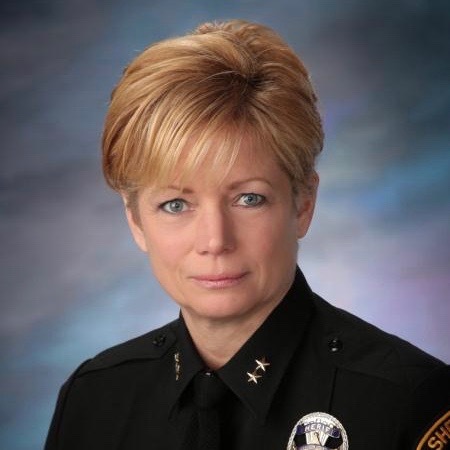 She was promoted to Senior Investigator before retiring in 2012. Sheriff O’Neill’s father Al served in the New York State Police for 21 years before he was elected Sheriff of Jefferson County in 1977. Jefferson County proudly hosts the 10th Mountain Division.